On Saturday January 14th the Federación Mexicana de Radio Experimentadores, FMRE, Mexico´s IARU member society celebrated its 80 Anniversary. The gathering, with the participation of board members, directives and radio amateurs attending from different parts of the country, lasted several hours. 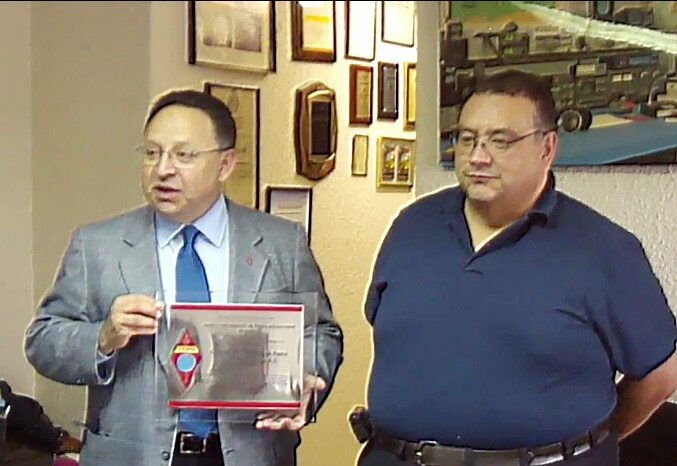 On the picture IARU Region 2 Secretary Ramon Santoyo V., XE1KK, presents a plaque to Victor Pinilla, XE1VP, President of FMRE for the commemoration of the event.